Bitten by that creative Spider: Peppermint Blackberry Jam - It is refreshingly different! 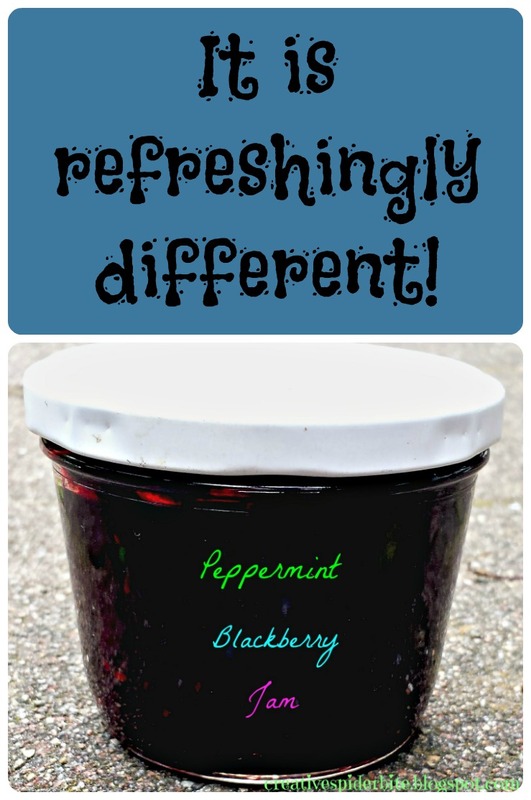 Peppermint Blackberry Jam - It is refreshingly different! This will be the last jam recipe that I will share from my crazy jamming session last Monday. 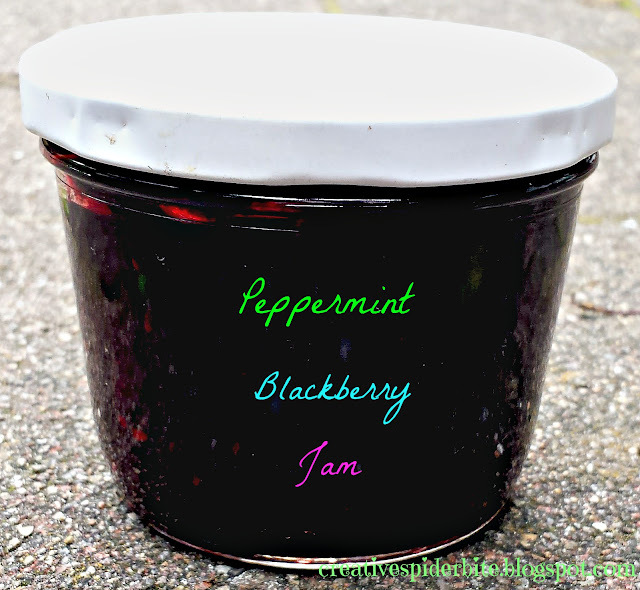 I have used peppermint in jams before and my boys (who are a wee bit peppermint crazy) love this one. 500 grams of gelling sugar (in the US jelly sugar) for the ones new to making jam this one has added pectin that allows you to use only half the amount of sugar. Bring all to boil, let boil for 5 minutes on a medium setting while stirring. Whizz until most of the blackberry seeds are gone. Bring back to boil and after positive gelling test fill into sterilised glas jars. A detailed how-to for sterilising jars and any jam making or canning basics you can find here. I hope you you are enjoying your summer and will leave you to jam making for now! Thank you for stopping by Michelle! I hope you´ll enjoy the jam! Strawberry Blueberry Jam - simple and divine!